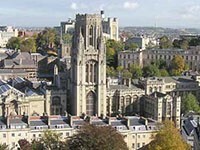 Region Bristol located in the south-west coast of Great Britain, on the River Avon. This city is one of the ten kupno cities. The Bristol is still the only IKEA store.